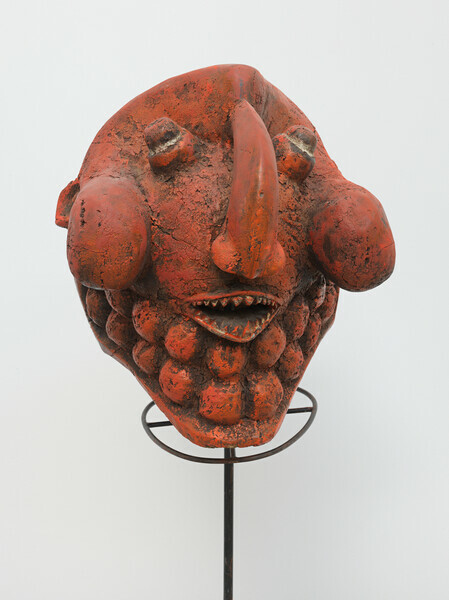 We invite you to the public opening of ‘David Hammons’ and ‘Guillermo Kutica’ on Saturday 18 May from 3 – 7 pm. Hauser & Wirth aims to make a lasting contribution to the Los Angeles community by sharing its resources and offering a variety of family, youth, and adult programs inspired by the gallery’s visionary artists. 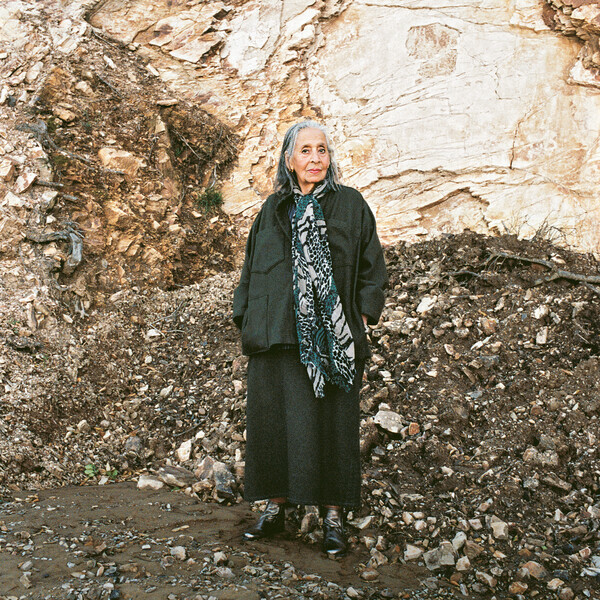 Modeled after Hauser & Wirth’s Somerset gallery – the revolutionary arts center that opened in rural England in 2014 – the Los Angeles location has expanded its events program to include dance and music performances, film screenings, family activities, maker workshops, and artist-led conversations. 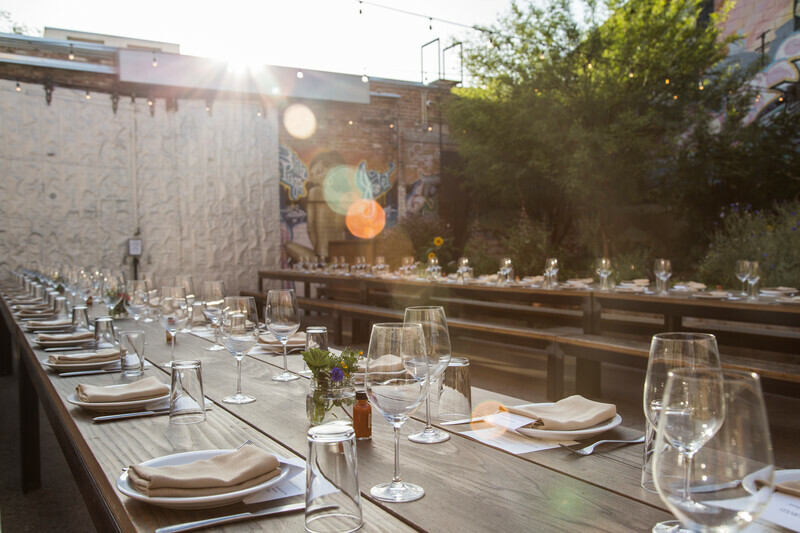 The Los Angeles gallery features Manuela, the onsite restaurant offering seasonal, locally-sourced produce, a chicken coop and an urban garden, an open-air courtyard with a native Southern California oak tree and other indigenous plants, and murals celebrating the Arts District’s history. 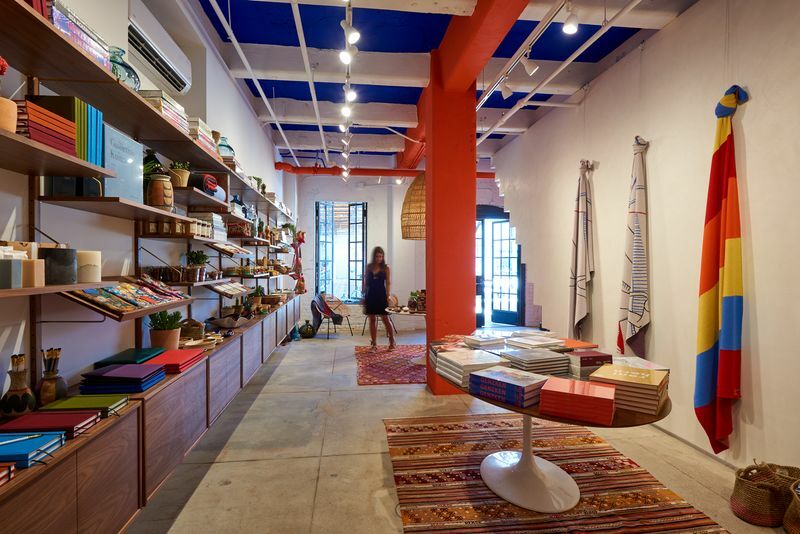 Additionally, the site is home to the first ARTBOOK store in Los Angeles, the Gallery Shop, which offers a curated selection of hand-crafted products, and Hauser & Wirth Publishers’ Book Lab. 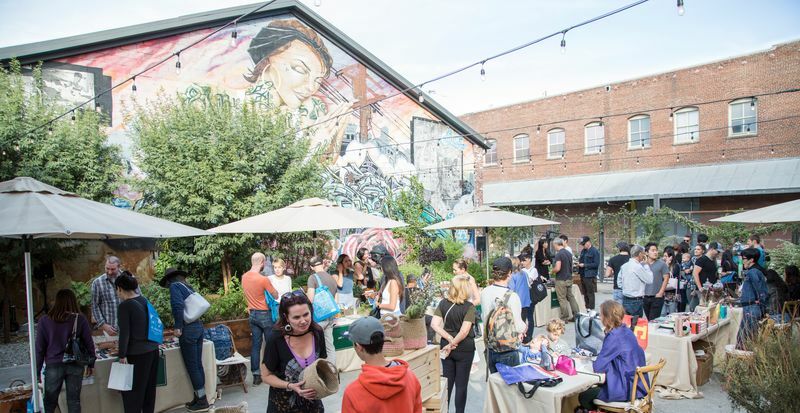 Located at 901 East 3rd Street, the gallery is situated in the former Globe Mills complex, a collection of historic buildings dating back to the late 19th and early 20th centuries. 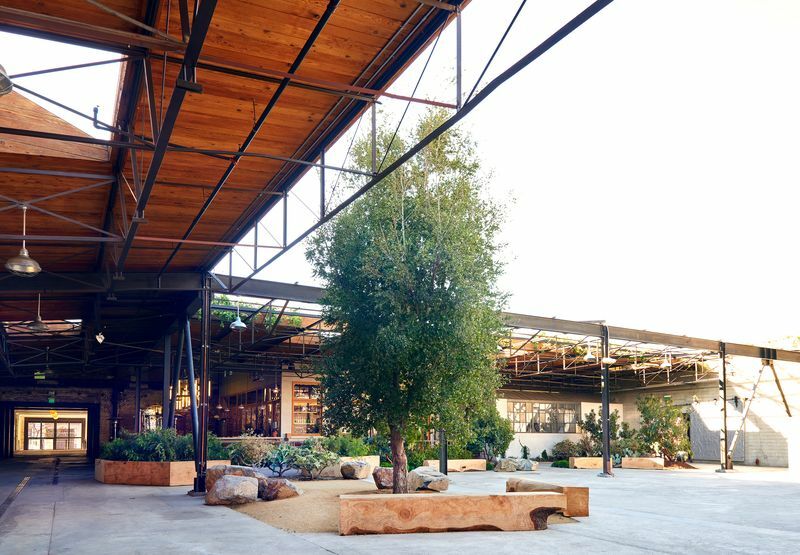 The site was restored by Los Angeles real estate company Creative Space LA in consultation with Annabelle Selldorf, Principal of Selldorf Architects. 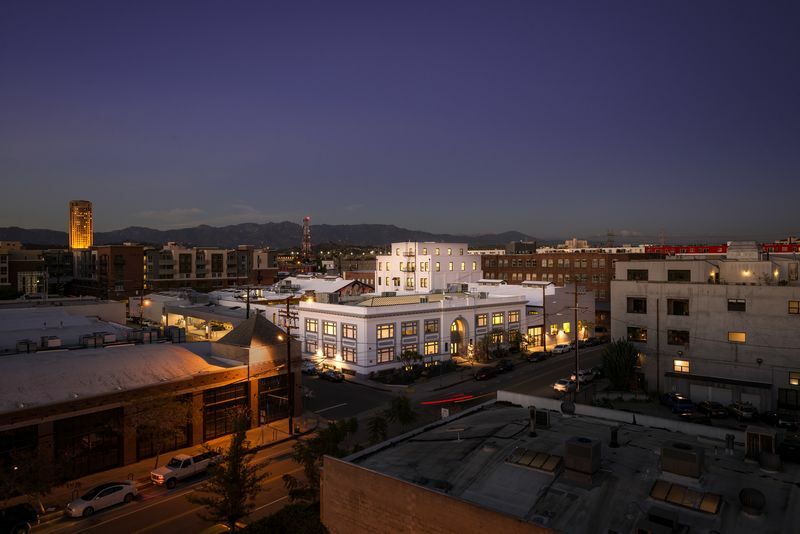 In 2018, Hauser & Wirth Los Angeles was awarded the Chair’s Award, Los Angeles Conservancy’s highest honor recognizing the importance of preserving historic landmarks that make the city unique. At Hauser & Wirth Los Angeles, public engagement and education are centered around the gallery’s exhibitions, artists, public garden, and the history and resources found in our surrounding communities. 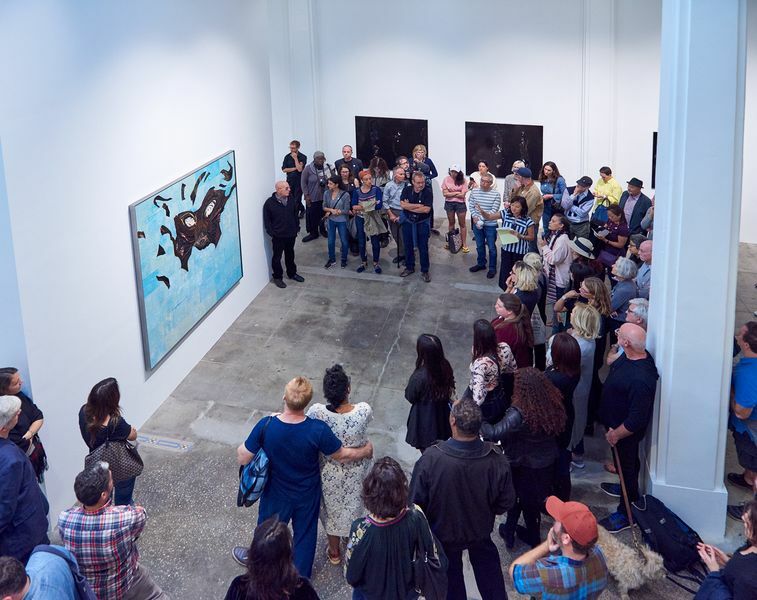 Exhibition programs aim to instigate a dialogue between the works on view and our diverse audiences – artists, downtown residents, community partners, students, and faculty of Southern California schools and academic institutions. We offer activities including walkthroughs, workshops, screenings, performances and special events, with an emphasis on sharing the resources of the gallery space for a broad range of family, youth and adult programs. 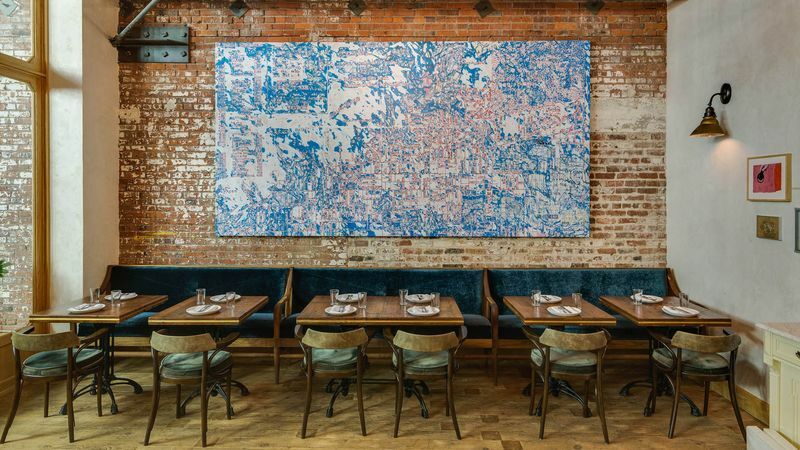 Sitting within the hidden courtyard of Hauser & Wirth Los Angeles, Manuela is at the center of the thriving Downtown Arts District. A destination for food, art and culture, our distinctive menu is a celebration of the best locally-sourced, seasonal ingredients. The restaurant is available for private hire, as is the Private Dining Room, an intimate space that hosts up to 12 guests. The Hauser & Wirth Los Angeles Gallery Shop offers a curated selection of items with a focus on provenance and source: small makers, local craftspeople, community projects, artist collaborations and products from Hauser & Wirth galleries around the world. In addition to offering exclusive collections from LA-based makers, unique Hauser & Wirth artist products, and exceptional items from our gallery and farm in Somerset, England, the Gallery Shop also features products from nonprofit organizations such as Piece by Piece, MADE by DWC, and Rio Terà dei Pensieri. 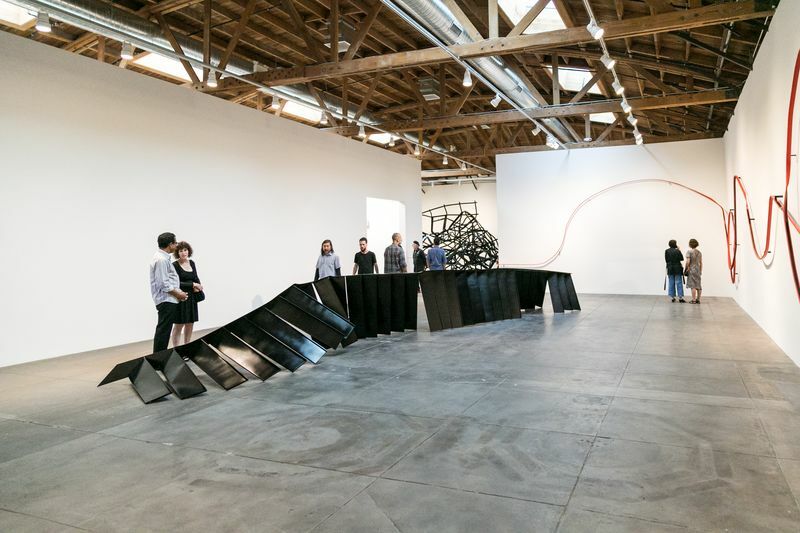 Hauser & Wirth Los Angeles offers group tours, and reservations are essential for groups of 10 or more, both self-directed visits and groups who wish to reserve a tour. Please complete a reservation request form via the link below, at least 14 days in advance. You will be notified if we are able to accommodate your request within 5 business days of your submission. Group tour bookings with one of our educators for nonprofit organizations and public educational institutions are free, but require a $50 deposit that will be refunded during the tour. Bookings for all other private institutions and groups require a $50 fee to cover tour administration costs. If you have questions or additional requests regarding your visit, please call our Education and Community Outreach department on +1 213 943 1620. All public areas of Hauser & Wirth Los Angeles are accessible for wheelchair users. The gallery aims to be as accommodating as possible. If members of your group have disabilities or special needs, please contact the gallery in advance of your visit to discuss your requirements. Restoration of the complex opened this 6,000 square foot central space – previously covered for over 60 years – to the sky above, creating a dramatic location for outdoor sculpture, informal gathering, and special events. A 25-foot tall Coast Live Oak, a native and protected species in California, anchors the middle of the complex. Partially covered walkways offer protected circulation within the site to the exhibition galleries, restaurant, garden, gallery shop, and bookstore. Hauser & Wirth Los Angeles supports, collaborates and works in partnership with many local and international cultural organizations, museums, nonprofits, and universities: California State, Los Angeles, Garden School Foundation, California Institute of the Arts, Art + Practice, Little Tokyo Service Center, Piece by Piece, MADE by DWC, Los Angeles Chamber Orchestra, Rio Terà dei Pensieri, The Institute for Art and Olfaction, ARTBOOK, ArtBites, No)One. 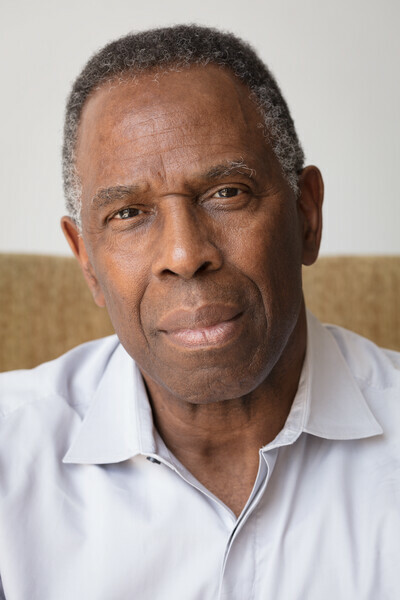 Art House, Hammer Museum, Los Angeles County Museum of Art, LAXART, Institute of Contemporary Art, Los Angeles, Museum of Contemporary Art, Los Angeles, and Southern California Institute of Architecture.